March 18, 2013 By Allyson 21 Comments This post may contain affiliate links. Read my disclosure policy. 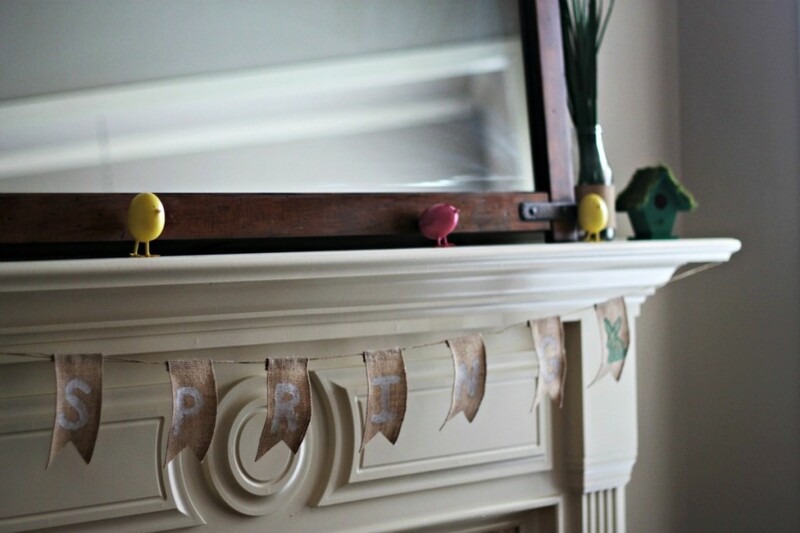 Over the last week I have shared a couple projects that I had made for my spring mantle. I was totally slacking and still at the end of February had my Valentines Day Paint Chip Banner hanging on the mantle (embarrassing! ), so I knew it was time to get into gear. 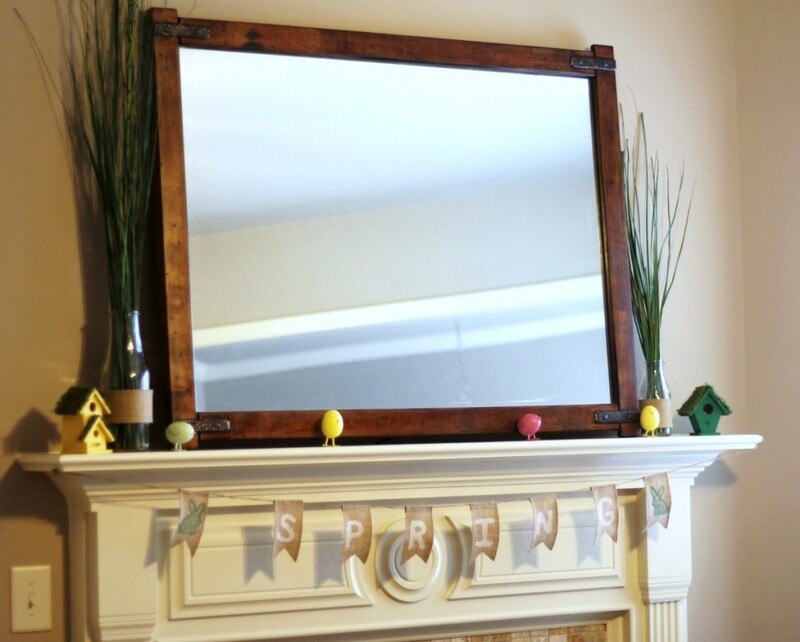 Last weekend was full of craft store trips, an Ikea trip, crafting, and putting together the spring mantle. This post is mostly picture heavy, because I don’t have much to say about it, other than I love it’s simplicity and colorfulness. So here it is all put together! I picked up 2 of these milk bottle vases from Ikea. The taller one was only $2.99, and the smaller on the right side of the mantle was $1.99! 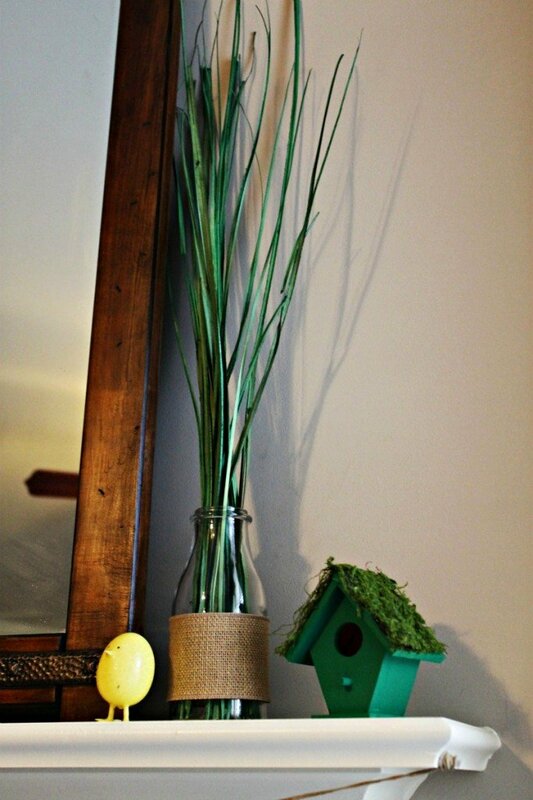 I dressed them up by hot gluing a strip of burlap ribbon around the bottle, and putting some green floral decor (also from Ikea) into them. I love these little chick eggs! They were in the $1 section at Target and came 2 to a pack! Lovely mantel! sweet milk bottles and banner! So cute! Thanks again for linking up at the Link Up! Oh my goodness! It is so pretty! How do you keep your mirror so clean….??? The eggs/chickens are so funny and colourful. They are quirky little guys, right? I love them! Those birdy eggs are precious. They are so cute, right? I went back to target looking for more, but of course they were gone! How fun! I love the bird houses! Thanks for coming to link up at Pinterest Tuesday. I enjoy seeing what you are working on. Could you help me get the word out about my little link party either by linking back to me or putting the button on your page? So weird, I thought I had it already! I just added it! Fresh and fun! 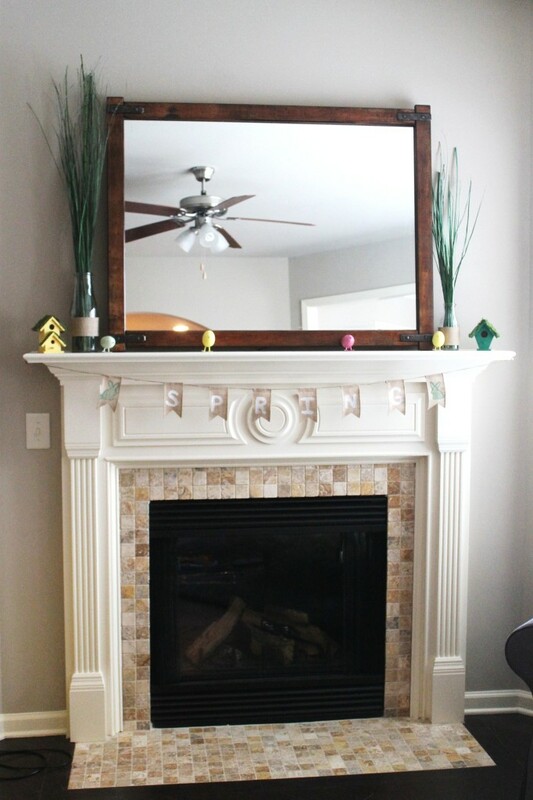 Love your spring themed mantel. Hi Allyson, that’s too cut! 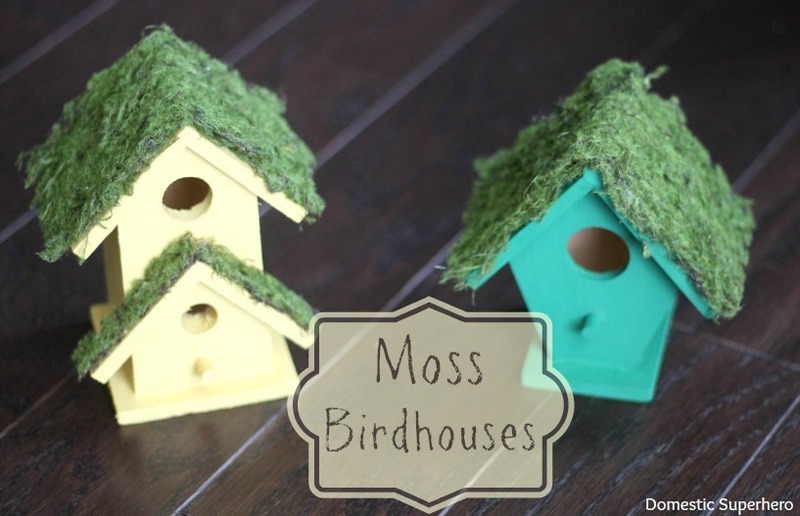 love the bird houses! 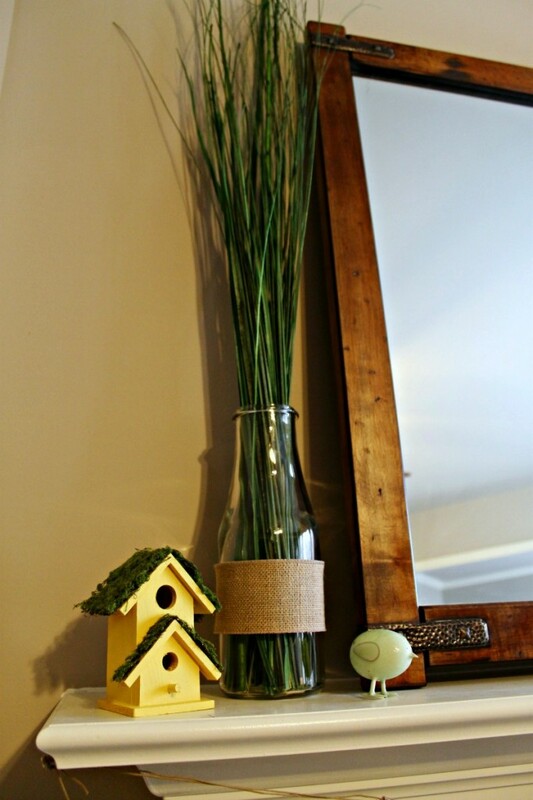 i have done some bird houses to to different themes too. Thank you, Mandy! I appreciate you coming by and adding my button! Can’t wait to see you this Thursday! Your mantle is beautiful! It looks so springy and fresh! Hi Allyson, I found you over at If It’s Not Baroque. 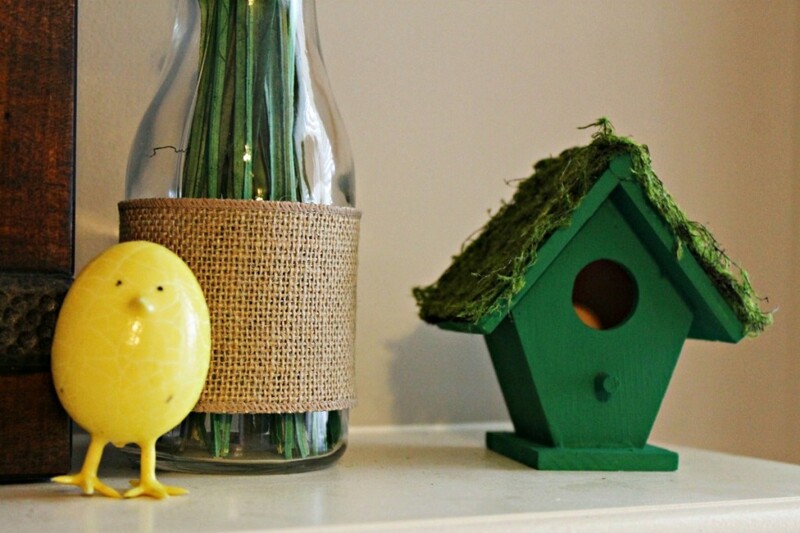 Your mantel is so fresh and springy. I really like the burlap banner. You did a great job. Hope you’re having a wonderful week! Thanks Debbie and thanks for stopping by! LOVE the egg chickens so cute! Thanks for sharing on We Made That! Very fresh and pretty. Thank you for joining us at Transformed Tuesday this week.